Kyrgyzstan's interim leader Rosa Otunbayeva has accused ousted President Kurmanbek Bakiyev of taking the country to the brink of civil war. 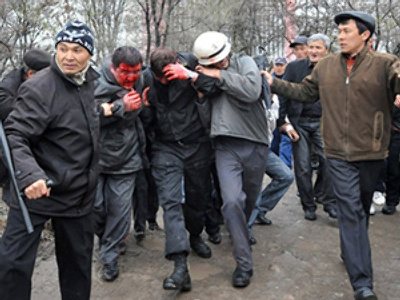 The statement follows news that earlier on Thursday supporters of the interim government staged a demonstration in the city of Osh, the second largest city in Kyrgyzstan, which is often referred to as the southern capital. They were demanding the stabilization of the situation in the country. A local official was speaking to the protesters when Bakiyev’s allies turned up at the square. Soon after the ousted president himself appeared. Demonstrators rushed at the platform where Bakiyev was about to speak from, only giving him the chance to say just one sentence. “Esteemed compatriots, please preserve peace and tranquility!” he managed to say. However, his bodyguards shot in the air to disperse the crowd. Bakiyev’s security detail then dragged him from the podium and escorted him into his car. As Bakiyev was leaving the scene in his car, opponents threw stones at the vehicle. The clashes in Osh continued after Bakiyev left. Bakiyev must understand that civil war in a small country like Kyrgyzstan would be suicide, stated Reinhard Krumm from the Friedrich Ebert Foundation, a German think-tank and educational institution. At the same time, all the parties involved are interested in stability in the Central Asian state, Reinhard Krumm noted. Kyrgyz journalist Bektur Iskender from Bishkek does not believe that a civil war in Kyrgyzstan will happen because “there is no strong idea between both sides and I am not sure that many people would be willing to fight for that with guns.” He also added that those people who attend rallies are mostly apolitical and visit events out of curiosity. Still, the journalist said “it’s not solved yet, the events are not finished.” The situations remains unstable, looting continues, schools and institutes are closed together with most shops. 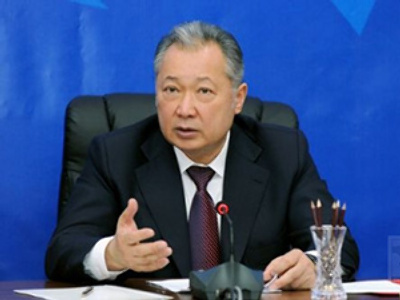 Despite the fact that Bakiyev still has supporters, and that many people dissatisfied with his policies support the interim government, neither party has the resources or forces to take the situation under its full control – and even Bakiyev leaving the country would not the situation much, Bektur Iskender noted. Earlier Russian President Dmitry Medvedev warned the country against plunging into a civil war. 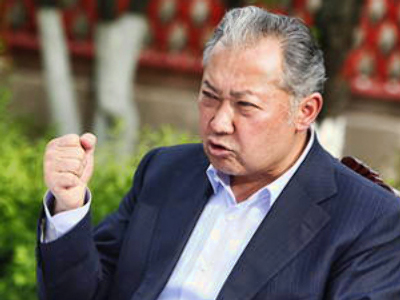 “The risk of Kyrgyzstan splitting into two parts – north and south – really exists. Kyrgyzstan is on the threshold of a civil war, and the forces in Kyrgyzstan should be aware of their responsibility before the Kyrgyz nation… and the existence of the Kyrgyz state,” said Medvedev during his visit to Washington DC for the nuclear summit. Fears are growing that the nationwide divide will worsen, spurred on by pro-Bakiyev rallies that have started since he fled to his support base in the south. 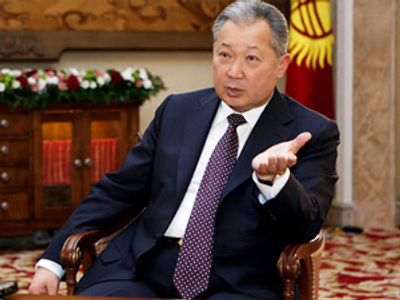 On Wednesday Russia pledged up to $50 million in financial aid to Kyrgyzstan's interim government. The US has also promised similar support. This is following last week’s bloody uprising that left more than 80 people dead and over 1,000 injured.